Widow LisBeth King returns to Nebraska and a world shattered with violence. Will her ties to an angry warrior and a disillusioned soldier pave the way to her new home? 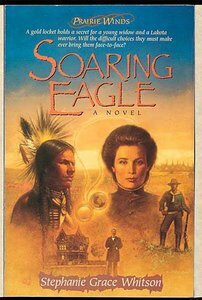 About "Soaring Eagle (#02 in Prairie Winds Series)"
Stephanie Grace Whitson, bestselling author and two time Christy Award finalist, pursues a full-time writing and speaking career from her home studio in Lincoln, Nebraska. Her husband and blended family, her chuch, quilting, and Kitty--her motorcycle--all rank high on her list of "favorite things".